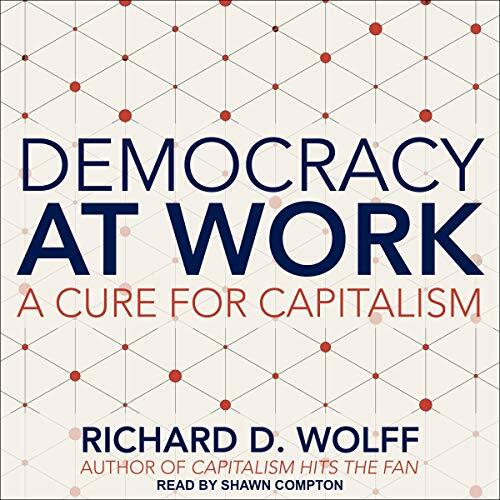 Here, Richard D. Wolff lays out a hopeful and concrete vision of how to make that possible, addressing the many people who have concluded economic inequality and politics as usual can no longer be tolerated and are looking for a concrete program of action. I’m glad someone finally put something together articulating ideas that go beyond the “market capitalism vs. state socialism” false dichotomy that we’re brought up to believe. There are other viable alternatives. I like that Dr. Wolff does not claim this to be a perfect solution, or one that won’t require some struggle, sacrifice, and setbacks. He makes careful note of the kinds of obstacles his proposal (workers’ self-directed enterprises) would have to overcome, obstacles that I would expect a conventional capitalist would cite as well. I think both capitalists and socialists of all stripes can find some good ideas in this book worth considering. Give it a listen. You might be surprised. This analysis should be a must read for every student. in a day and age when it has become taboo to speak of Capitalism as anything short of religion, it is paramount to step back and provide an objective analysis of a system that not only guarantees a crash but tells us that it's okay. WSDE's may just be the new system that resolves many of the issues provided by socialism and capitalism.